We are providing our customer a wide range of Wire Hanging Baskets, which are manufactured from high grade quality raw materials. 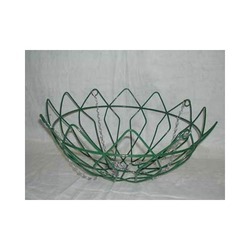 These Wire Hanging Baskets are widely known for its durability and quality and are available at industrial leading price. Different sizes and designs are available with us. We offer a custom design service like no other. 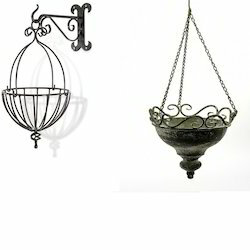 Manufacturer & Exporter of Metal Hanging Basket & Jali Hanging Basket. Our product range also comprises of Hanging Coir Baskets, Window Planters and Fancy Planters. exporting Jali Hanging Basket that is broadly used for different places. Hand Paint Finish for Rustic Touch.